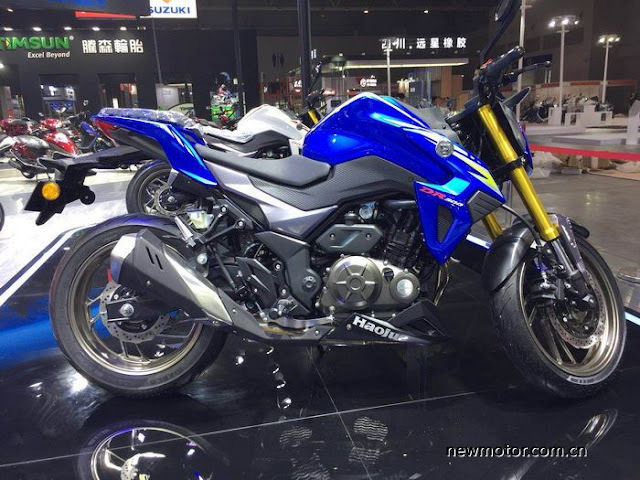 Suzuki showcased the Suzuki GSX S300 as Haojue DR 300 in China in Chongqing Motor Show. The bike is being looked as the rival to Yamaha MT 03. Suzuki GSX S300 got a sharper body, good tail finish with dual shade panels. A good looking exhaust with heat shield. The bike got the front fork colored in black on red and Golden on Blue. Wheels are alloy. Seat is the inspired from the supersport bikes. Headlight has a futuristic look. The visor is very small. 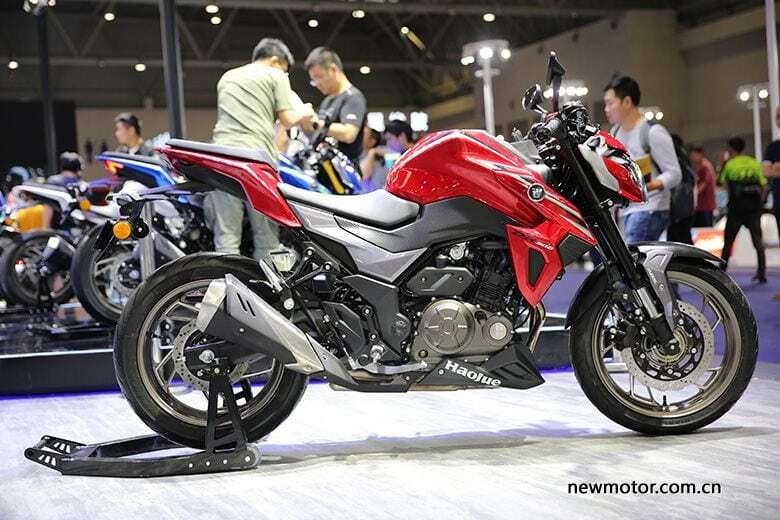 Bike got the 298 Twin cylinder engine mated with 6 speed manual transmission gear box.